When Ann Elkjär, Hee-Won Park and Johan Stern meets to perform together, the result is sheer chamber music magicness. On the recital programme, the iconic piece by George Crumb; Voices of the Whale from 1971 – music that really touches the listeners. The trio enjoys to play contemporary music, by Sofia Gubaidulina, Kaija Saariaho as well as neoclassical music by Bohuslav Martinu. Their concerts have been recorded and broadcasted by Swedish Radio P2. 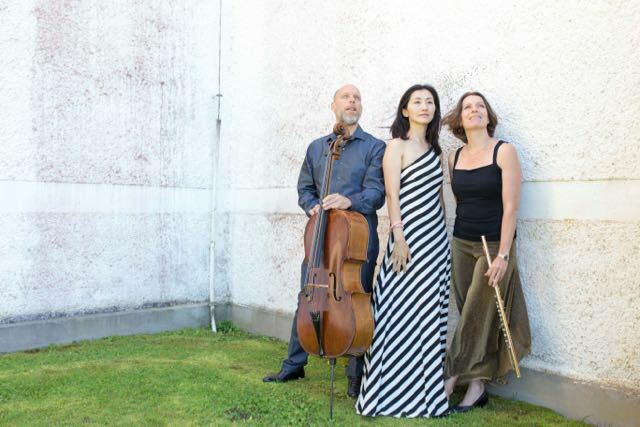 The trio has made numerous performances in chamber music venues, and last summer, they performed at the prestigious Båstad Chamber Music Festival, as well as major contemporary music festival; Kalvfestivalen.